Eight players will take the court Friday in the quarterfinals of the 2010 Western & Southern Financial Group Women's Open, but only four will earn a spot in Saturday's semifinals. For the seventh year in a row, three unseeded players have reached the quarterfinal stage, but the final eight is certainly not lacking in star power, or players with success here in Cincinnati -- three of the quarterfinalists have advanced as far as the semifinals here before: Akgul Amanmuradova (2007), Marion Bartoli (2004) and Flavia Pennetta (2009). Yanina Wickmayer will battle Anastasia Pavlyuchenkova in the first quarterfinal of the day in what will be the first-ever meeting between the two. Wickmayer reached the US Open semifinals in 2009, and earlier this year climbed to a career high ranking of No. 12. Pavlyuchenkova comes in as one of the hottest players on tour. She owns an eight-match winning streak, the second-longest active streak on Tour. That run includes a title in Istanbul that has helped her to register a Tour-leading 25 hard court wins. 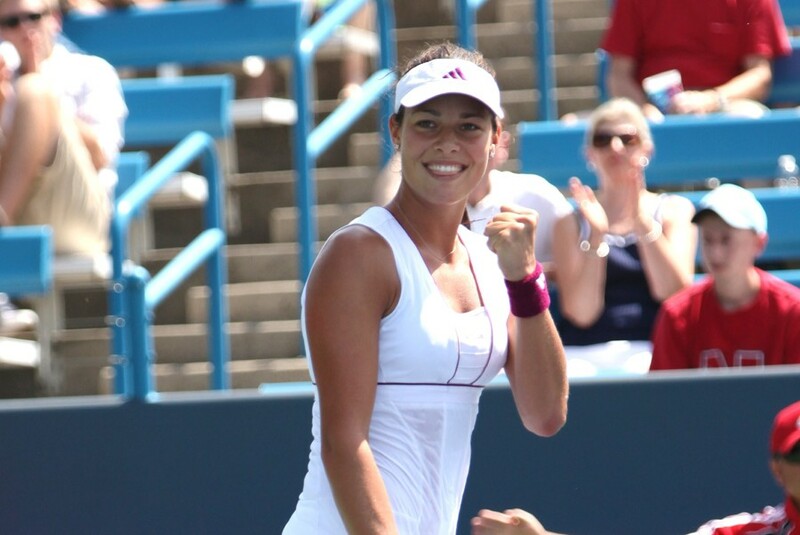 Former French Open champion Ana Ivanovic will take on Amanmuradova in the 1 p.m. quarterfinal. Ivanovic will be looking to reach her third semifinal of 2010. Amanmuradova qualified into the tournament last weekend. She is also the last person to have qualified and advanced this far in the tournament, having reached the semifinals here as a qualifier in 2007. The last match of the day session will feature reigning US Open champion Kim Clijsters against Pennetta, who is fourth on Tour with 20 hard court wins in 2010. The night match on Friday will feature Maria Sharapova, who is playing Cincinnati for the first time, against Bartoli. Sharapova owns titles at three Grand Slam tournaments in her career. The former World No. 1 has reached the final at three of her last five tournaments. Bartoli tasted success in the Olympus US Open Series by winning the Stanford title last summer. The Frenchwoman was the runner-up at Wimbledon in 2007.